You already have bony blogger fingers and an appreciative audience of readers. Why not make a book? Even if you don’t have a blog, you can make a book of anything you want. There are many self publishing options available, depending on what you want to do. They all have their strong points, and this is not a review, but I recently went with Blurb. I don’t work for Blurb. I’m pushing the idea, not the product. Blurb is what I am familiar with. Blurb seems geared toward photography but they offer a number of different formats that would work for any number of blog-based projects. I wouldn’t suggest just “slurping” your blog straight to paper. Most blogs don’t have the structure for that. Get creative and remember, holding your book will be a very different experience than reading your blog. Check out some of Blurb’s formats. I started off with an idea for a book of nature photography, sprinkled with short essays I created by heavily editing content from this blog. Important point: If you are re-using content from your blog, you should point that out to readers, on one of the first pages and in your book’s description wherever you list it. If lightning strikes and a “real” publisher falls in love with your book, they will most certainly need to know. For that photo/essay book, I chose Blurb’s Trade format with a soft cover in the 8″ x 10″ size. I chose Standard Color paper for printing. Starting at $3.49 for 24 pages, a 100 page book won’t break very many banks and their print-on-demand (POD) services mean I won’t have to store boxes of copies in the barn. Offset printing is available if I do want to store books in the barn (750+ copies) but they also offer warehouse management and a number of distribution options, too. 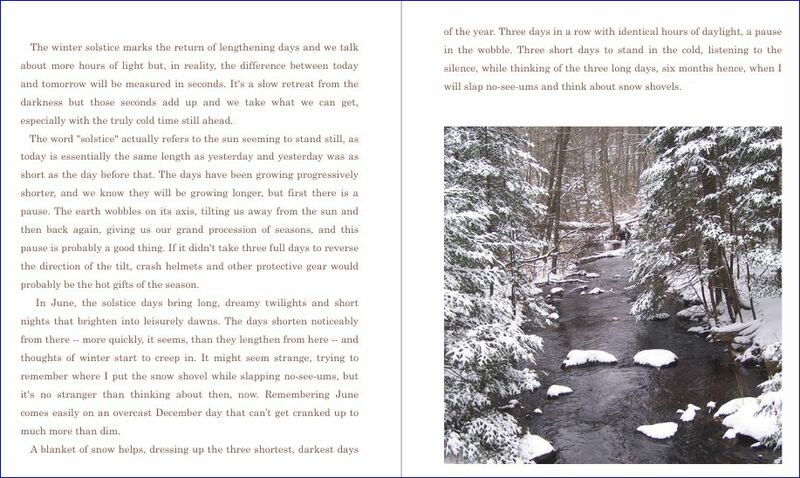 I downloaded Blurb’s software, called BookWright, and started climbing the learning curve. Blurb’s Help Center includes an Instruction page with links to tutorials, videos and more. They are also on YouTube. 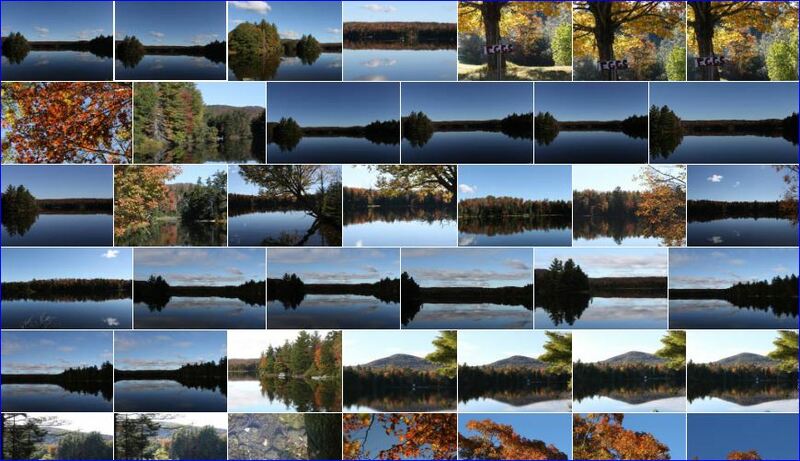 One tip I gathered my first time around is to have your photos edited and organized before getting started. Photos should be at least 250 dpi and getting them organized ahead of time really is a good idea. That photo and essay book is coming along nicely. Even if I only print one copy for myself it will be worth the effort but I got distracted. Looking through thousands of images, a few habits of mine became apparent, especially standing in the same place and taking pictures of the same view. 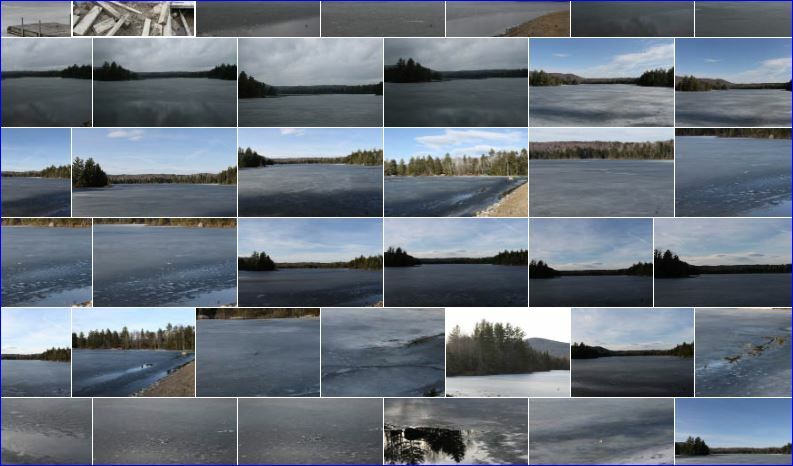 Not all habits are bad, but what to do with dozens of pictures that are pretty much all the same? The thing is, they are not all the same. 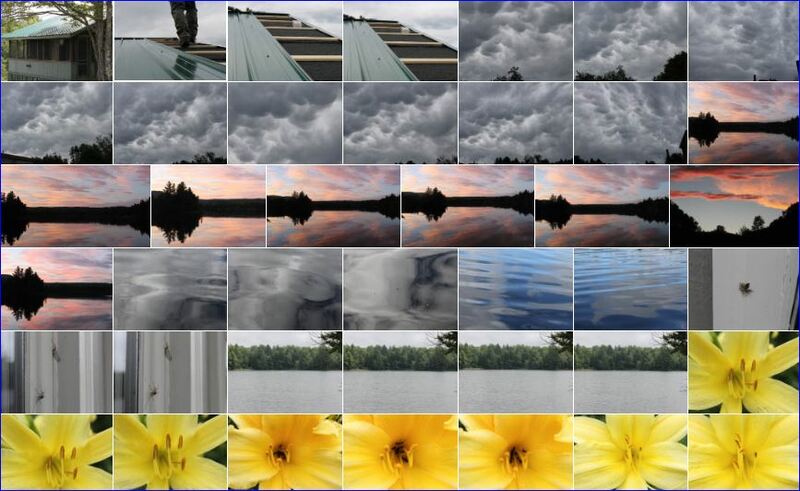 They were taken on different days, in different years, under different conditions and with different cameras. One thing that Blurb offers in spades is inspiration. Some of it comes from Dan Milnor, Blurb’s Photographer at Large. Dan makes lots and lots of books, for lots of reasons, but one thing I got from watching his videos was experimenting with formats. Realizing that not all photography books need to be hardbound with a dust jacket and cost over 100 dollars, I knew what to do with some of those photos that are all the same but different. I chose the 7″ x 7″ Small Square Photo Book and started cropping. 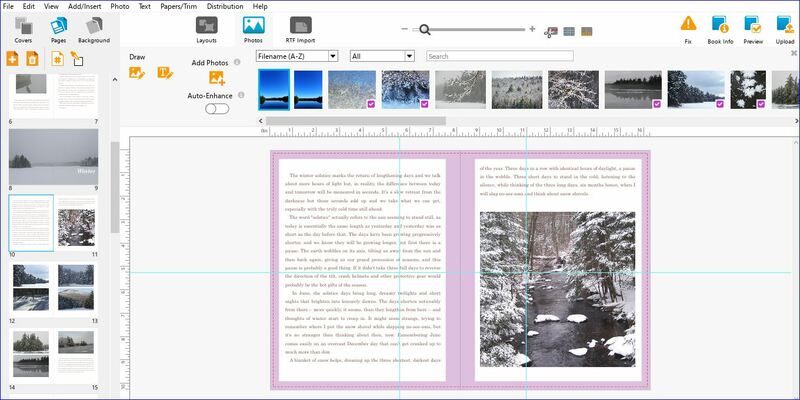 BookWright has a preview feature so you can proof as you go, and it will let you know if a photo has problems that will affect the way it prints. Once everything is in order, looking the way you want, upload your book to Blurb. It will show up on your dashboard, ready to put on sale. But is it really ready? You won’t know for sure until you have a copy in your hands. When you upload your book, Blurb gives you two weeks to order a copy or it will disappear from their server. The price you see at this point is your cost for a single copy; you’ll work out your profit later*. A promo code is usually available at the top of the page. Use it! That code can’t be used by others to buy your book but it sure helps when ordering proof copies. Thank goodness for promo codes because my first copy looked very different than I expected. The photos were much darker than anticipated and I realized I’d forgotten page numbers. There is an “Auto Fix” button on the editing dashboard and it did the trick, lightening and sharpening my small images. Be warned, though, it can’t be applied to individual images and in some cases makes things much worse. Sometimes it might be better to go back and fix those images with your own software. No one said this would be easy the first time. The new copy of the book looked much better when it finally arrived last week and is now available for sale on Blurb. They have other distribution options, like Amazon (certain formats only) and beyond, using Ingram Content Group, and they can format your masterpiece into an e-book, too. A PDF file can also be had and they will assign your book its own ISBN along with a barcode on the back. For my first little book I am distributing on Blurb, using the nifty widget they provide. Clicking on it takes readers to a preview of the book and allows them to order a copy of their own, printed and delivered by Blurb. Add a little depth to your content and give your readers something they can hold in their hands. Cook books, travel books, collections of photos and more can be printed and bound, showcasing the things you’re already doing and maybe even putting a couple of dollars in your pocket so you can keep on doing them. — Edit, edit, edit. Triple check spelling and grammar before uploading! — Make sure your photos are at least 250 dpi! — Make sure the photos and words are yours or that you have permission to use them! No one likes plagiarists and thieves. — Be organized from the start! — Whatever way you choose to make your book, read the tutorials and watch the videos! This isn’t rocket surgery but there is a lot of help available out there. — Single copy POD is not the least expensive per unit option but it’s a relatively inexpensive way to create just a couple of copies or to handle sales that don’t amount to much more than a trickle. — Allowing Blurb to put their logo on the last page of your book keeps the price down. They charge a premium to leave it off. It’s not in the way and is actually quite small. I don’t mind it but if you’re starting your own imprint you might not want it. — Fancy hardcover books get pricey fast! Not everyone will fork out the dough for a giant book of your photos. Try other formats and options to make your book fun and affordable. My little photo book, at 24.99 gives me $1.20 profit if a copy ever sells. *A very important point about setting your profit on Blurb: They will show you your cost per copy and you get to determine how much profit you want to make on each copy sold. Whatever you enter, BE SURE TO CLICK THE “SAVE” BUTTON! Otherwise, you will be selling books at cost for a week like I did! Does your blog entitle you to a book? The answer is, “Yes!” even if it’s just for yourself. Using a site like Blurb allows your readers to hold it, too. Thanks for the step by step with you experience with Blurb. A few years ago I bookmarked a half dozen self publishing site, then never did anything with any of them. Can’t recall which one, but one will let me use InDesign Templates to do the book, something I’m very familiar with since I use it on a daily basis. Will be interesting to see what else you do. Your content is well worth the effort. Some say to write all new material for a book, stuff that wasn’t on a blog. I don’t go along with that idea. I think books reach a different audience and most people visiting a blog don’t read most of what is on there any way. So it will be new to them. 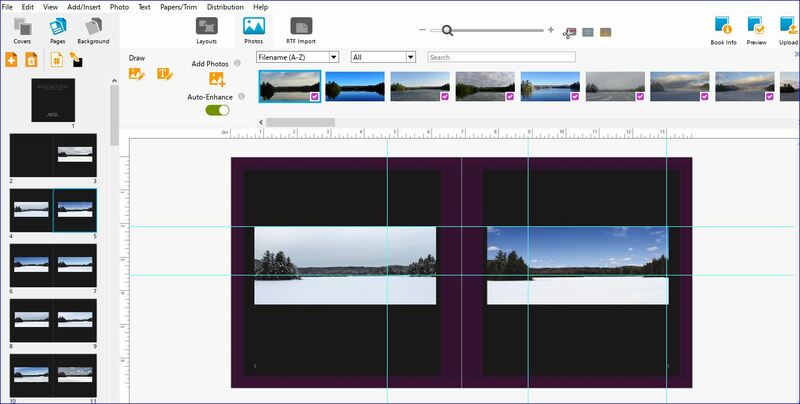 InDesign works with Blurb and a lot of people use it. I think some blogs might get away with using previously posted content and I’ll use some but this seems like a good way to use some of the “extra” stuff I have kicking around. I’m thinking of all kinds of ways people could use a book to expand what they do on their blog (with next to no out-of-pocket expense!). Cool! Might be fun to tinker around with. Do you imply that a “real” publisher would shy away if they knew that the material came from a blog, assuming, I guess, that the material is already “out there”? I think the fact that the material is already out there would be the biggest issue. Even if you took it down from your blog, it’s still floating around and a quick plagiarism check would bring it up. Best to be up front about it. I’ve heard agents and publishers don’t like surprises. I don’t know about objections to the blog aspect but most blogs don’t have the structure to move straight to a book. I am working on a long-form project (not the one mentioned above) and plan to use bits and pieces of already existing content but the percentage will be low and they will be folded in among a lot of new material. I plan to shop it around later this year to “real” publishers and we’ll see what the reaction is. That said, I really think using Blurb would be a great way for someone with a blog to take control of their content and use it in a new and different way. A “Best Of” collection or “Extras” or just a re-packaging of existing content would add another dimension to a blog. The minimal out of pocket cost of POD makes it possible to experiment without losing your shirt. The minimal cost also makes it possible to put together a book of your own stuff, for your own use. I’ve seen some books in Blurb’s store that revolve around a single trip or celebration, that only the person who made it and their mother might buy. Still, that person has their stuff in book form and didn’t have to go broke doing it. Some people print books but don’t offer them for sale. My friend Vic was in Europe last year and simply filled a batch of Blurb’s 7×7 photo books with hundreds of images he took. Instead of hauling out the computer and hard drives to show his pics, he has these professional looking books that people can hold. I always tell editors when the material I submit has been on my blog. In fact, with a single exception (a story idea suggested/requested specifically by an editor), all my published pieces HAVE been from my blog and remain on it. So far, everyone has been cool with that. I suspect that they don’t mind because they know that no one reads my blog anyway. I suspect it is because you are handsome and charming. There may be a difference between books and articles/stand-alone pieces that go to magazines, journals and the like. If you have a relationship with an editor that says it’s okay for a piece to appear elsewhere, I think that is a very good thing and find it encouraging. Most of the reading I have done about the subject dealt more with book-length submissions. That makes sense. The book-length submissions part, not the handsome and charming. The later is given.